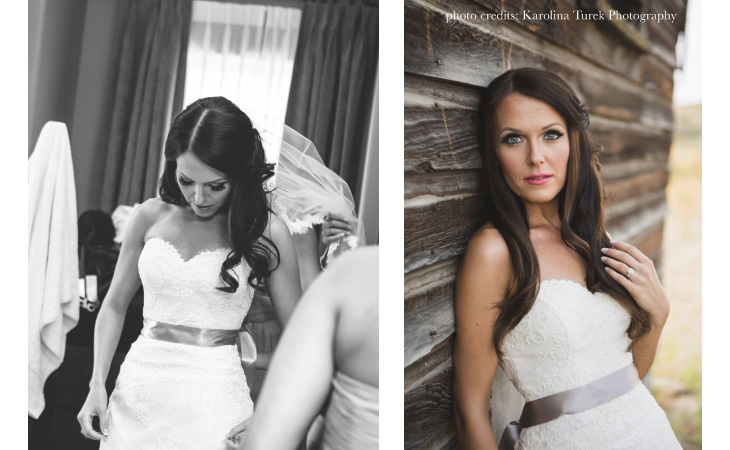 BE Studio offers makeup and hair for weddings, print, editorial, commercial and special events. We also provide cosmetic tattooing designed to define and enhance your existing natural beauty. Check our blog often to explore what BE Studio has going on! We are always excited when the work of BE Studio is featured in beautiful wedding blogs such as realweddings. Lindsay and Grant's 2014 summer wedding was located in the sunny Okanagan at Spirit Ridge Vineyard Resort and Spa. The evening was blessed with an extraordinary pink sunset and Lindsay looked absolutely gorgeous with her makeup and hair styled by in-house principal artist, Brianna Errelat. She single-handedly turned out hair and makeup for the bridal party as well as both ceremony and reception looks for bride Lindsay! See images below. We are so pleased that everyone had such a wonderful time and it was a blast to travel to the Okanagan for the big day. Vineyards, wine, warm weather, great people...what's not to love?? Thank you to Lindsay and Grant for having us, and thank you to realweddings.